A MOU on the India-Russia unified technology assessment and accelerated commercialization programme, was concluded in Moscow in 20th June 2017, by the Secretary, Department of Science & Technology (DST) Professor Ashutosh Sharma and Director General, Foundation for Assistance to Small Innovative Enterprises (FASIE), Russia Dr. Sergey Polyakov. The MOU aims at facilitating support enterprises to improve their global competitiveness through international cooperation, innovative activities and technology transfer. The two agencies (DST and FASIE) will link the Indian and Russian organisations and institutions to develop user-friendly and easy mechanisms for assisting companies and research entities to jointly develop technology collaboration and joint projects. Professor Ashutosh Sharma also met with Dr Alexander Vitalievich Khulnov, Director General, Russian Science Foundation (RSF) in Moscow. They discussed many simple ways for encouraging young scientists to cooperate in areas of mutual interest. The meeting concluded with an Addendum to the Agreement between DST and RSF on coordinated competition for conducting collaborating research. Both sides would support young achievers (less than 39 years) in a competitive mode for joint collaborative research. Next call for proposals would be made in 2018. Presently 17 joint projects are being supported by DST and RSF jointly. Science and Technology cooperation between India and the Russian Federation has been one of the important pillars of the long standing and time tested bilateral relationship. The vibrant partnership in science and technology has created a win-win situation which is driven by a sense of confidence and purpose in achieving together. This deepening relationship has enabled the free confluence of researchers across disciplines and institutions both from academia and research laboratories. The principles of collaborative advantage, reciprocity and mutual trust are the hall mark of the India-Russia S&T relationship. 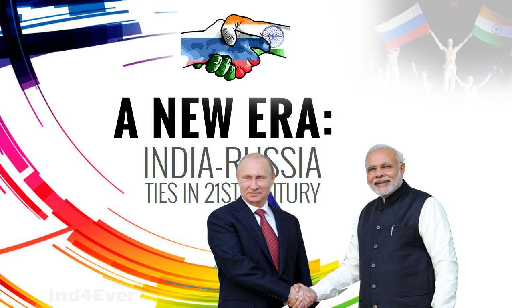 India and Russia are celebrating 70th year of establishment of diplomatic relations between two countries. Department of Science & Technology, New Delhi and Russian Foundation for Basic Research, Moscow are also celebrating 10th year of their partnership. Two sides are agreed to work for start-up companies and entrepreneurs and to establish Indo-Russian Bridge for Innovation. With the sunset of the Integrated Long Term Programme (ILTP) with the Russian Academy of Sciences, the birth of the Department of Science & Technology (DST), India and the Russian Federation of Basic Research (RFBR) programme on Basic Sciences took place in 2007. The initial few years of DST-RFBR partnership was a modest one, competing with the footprint left by the ILTP. However, the DST-RFBR programme emerged steadily and today it provides one of the robust platforms for bilateral scientific cooperation in Basic Sciences. It has given access to Indian scientists to work with the entire spectrum of Russian academic and scientific institutions in pursuing front ranking curiosity driven fundamental research of international standards. The first call under DST-RFBR programme was awarded in 2008. In last ten years, DST and RFBR have jointly supported 254 research projects out of 870 project proposals received. The rigour of the programme is reflected by an average success rate of about 25%. In terms of scientific areas, projects have been supported across the fields of basic sciences covering Physics & Astronomy (69 projects), Chemistry & Material Sciences (55 projects), Biology & Medical Sciences (34 projects), Earth Sciences (32 projects), Mathematics (27 projects), Engineering Sciences (23 projects) and Computer Sciences and Telecommunications (14 projects). Around 800 research publications have emerged from these projects, averaging publications per project. Last year a new element of inter-disciplinary research was added to the programme. Against the maiden call, 52 proposals were received out of which 17 were selected for joint implementation. This will further unfold new opportunities in the bilateral cooperation. h. Discussion with IOFFE Institute in St. Petersburg on their participation in bilateral cooperation. (One of its scientists was recently awarded with Nobel Prize in Physics).